... 1906 (105 years ago today), a daughter, Maria, was born Kattowitz, Upper Silesia, in what was then Germany and is now Poland. An only child, she would become a professor, making 7 straight generations of university professors on her father's side. In 1924 she would begin studies in mathematics at the University at Göttingen; soon, however, she shifted focus to physics, earning her doctorate in 1930 About that time she married and accompanied her husband to the United States, and continued to work in the area of physics though, as a woman, Dr. Maria Goeppert Mayer (left) could not find formal employment in her field. 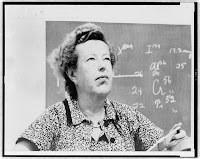 (photo credit) That changed in 1946, when the coupled moved to the University of Chicago, where she became a Professor in the Physics Department and in the Institute for Nuclear Studies. 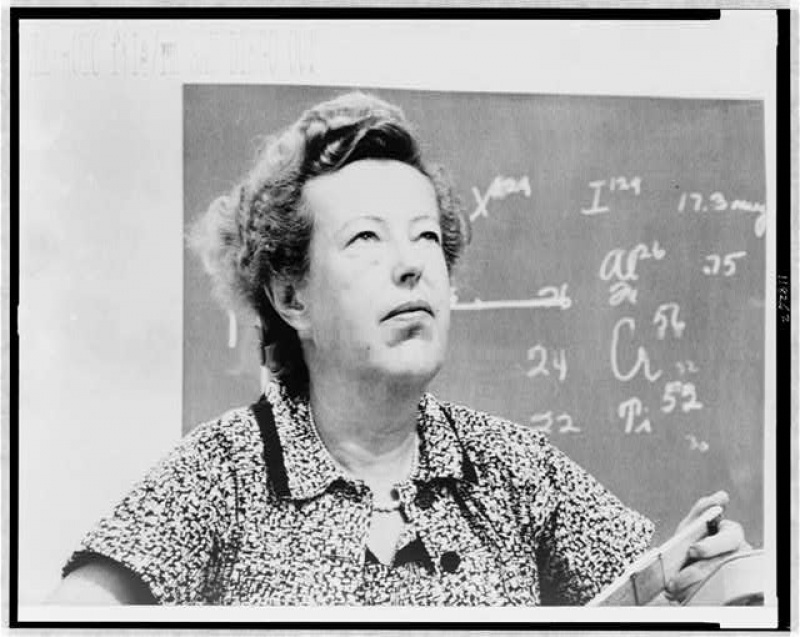 In 1960 she moved to the University of California-San Diego, and soon after she was a co-winner of the 1963 Nobel Prize in Physics for her work on nuclear shell structure. Goeppert Mayer, who died in 1972, was 1 of only 2 women to have been so honored.